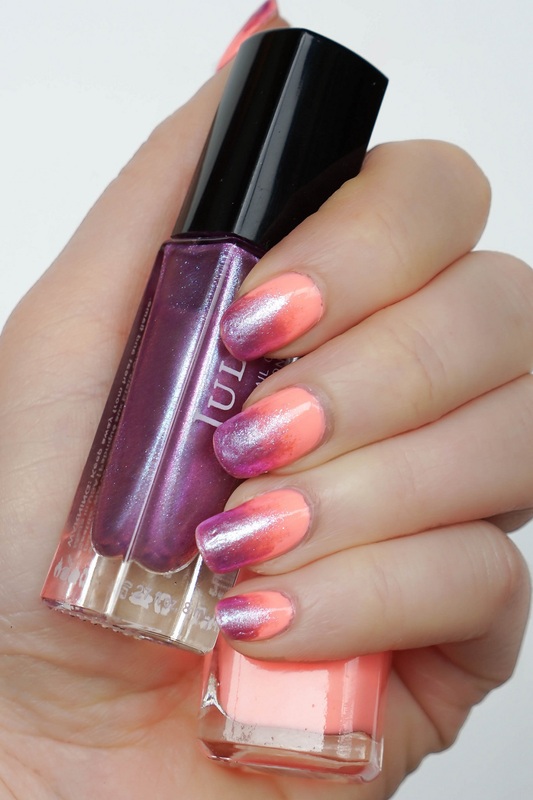 A gradient manicure is my go-to for when I want something more unique than a one polish mani, but am lacking inspiration! They’re super easy to do, plus they look like they spent WAY more time on them than you actually did. This creamsicle orange and iridescent purple gradient manicure wasn’t necessarily planned, but after last week’s disaster mani, I grabbed these two shades before heading upstate last weekend and hoped for the best. I really love how the pastel creme finish of the orange color looks with the iridescent sparkly finish of the purple so I lucked out!! 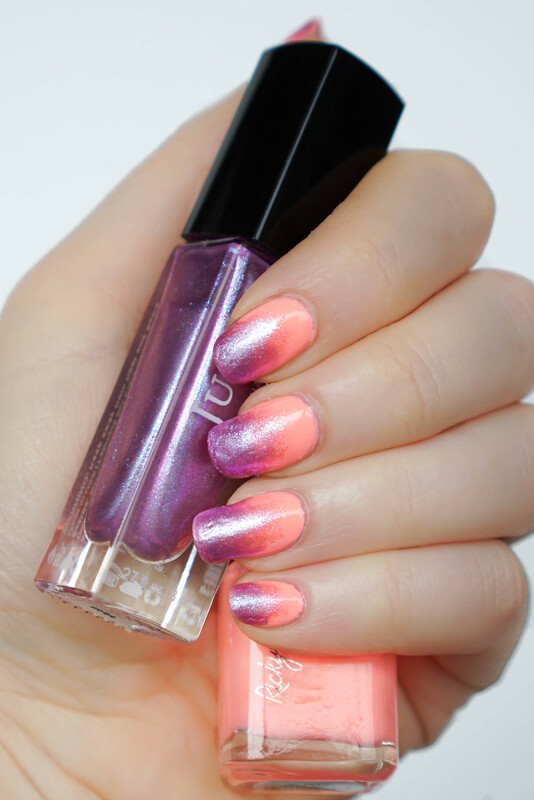 I’m stumped as to what my next manicure should be…literally no ideas…so leave me a comment with some inspiration or something you’d like me to try! I haven’t used my nail stamps in a while so maybe it’s time to break those back out again.